Manoj Kr. Mukherjee, B.A.,M.A., B.ED. Research Scholar at the Department of Ancient Indian History, Culture & Archaeology, Visva-Bharati University, Santiniketan, West Bengal, India. A.I.H.C & A (Specialization) (1) Ancient Indian Architecture (2) Social and Eco. Hist. Ø First Prize in Essay Competition in Class VII organized by Palli Samgathan Vibhaga, Visva-Bharati University, Sriniketan, West Bengal, India. Ø University Merit Scholarship (Secured III Position in B.A. (Hons.) at University Level), Visva-Bharati University, Santiniketan, West Bengal, India. Ø University Merit Scholarship (Secured II Position in M.A. at University Level), Visva-Bharati University, Santiniketan, West Bengal, India. 1. Presented paper entitled “Cast Copper Coins of Bengal : An Overview ” in National Level 95th Annual Conference of The Numismatic Society of India, held on 30th Nov - 2nd Dec, 2012 at A.I.H.C & A Dept., Visva-Bharati University, Santiniketan, West Bengal, India. 2. Presented paper entitled “Swami Vivekananda and The Education of Women” in UGC sponsored Seminar on Relevance of Swami Vivekananda’s Thought in India Today, held on 9th March, 2013 at Prafulla Chandra College, Kolkata, West Bengal, India. 3. Participated in National Level Seminar on “Rathindranath Tagore : An introspective and personality with keen artistic perception ”, held on 18th-19th November, 2013, at Siksha Satra, Visva-Bharati University, West Bengal, India. 4. Participated in National Level Seminar on “Swami Vivekananda In History : A Reappraisal”, held on 26th – 27th November, 2013, organized by Institute of Historical Studies & Sri Aurobinda Samiti, at Sri Aurobinda Bhawan, Kolkata, West Bengal, India. I. Participation in National Workshop on “Application of Science in Archaeology”, held on 6th – 8th August, 2013 at Indian Museum, Kolkata, West Bengal, India. II. Participation in International Workshop on “Footsteps of Foote”, held on 11th – 13th September, 2013 at Indian Museum, Kolkata, West Bengal, India. III. Participation in the Workshop on “Values-Oriented Education of School Teachers (Primary Level)”, held on 16th – 17th January, 2014 at Dept. of Education, Vinaya Bhavana, Visva-Bharati, Santiniketan, West Bengal, India. 2. Research Paper on “Excavation at Moghalmari Reveals New Buddhist Past of Ancient Bengal” in the Book entitled “Expression : Education, Literature & Society”, Laxmi Books Publication, Solapur, Maharashtra, India. ISBN – 978-81-924687-8-5. 7. 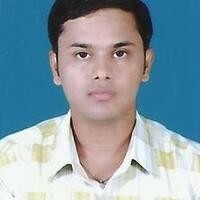 Member of Indian Academicians and Researchers Association, Guwahati, Assam, India. 8. Member of Yale University Art Gallery, New Haven, United States. 10. Member of Architectural Humanities Research Association, United Kingdom. 2. Reviewer and Member of Editorial Board of World Journal of Social Science, Toronto, CANADA. 5. Member of Editorial Board of International Journal of Religions and Traditions (IJRT), 58, Vaughan Williams Close, Deptford SE84AW, Central East London, UNITED KINGDOM. 8. Reviewer and Member of Editorial Board of Journal of Education and Training, Macrothink Institute, 5348 Vegas, Dr. # 825, Las Vegas, Nevada 89108, UNITED STATES. 9. Associate Editor of International Journal of Asian History, Journal Network, Mission Street, San Francisco, CA, USA. 10. 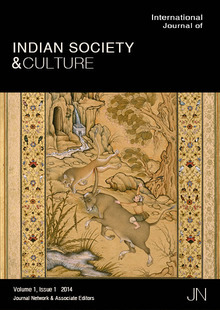 Associate Editor of International Journal of Indian Society & Culture, Journal Network, Mission Street, San Francisco, CA, USA. 11. Associate Editor of International Journal of Asian Society & Culture, Journal Network, Mission Street, San Francisco, CA, USA. 13. Reviewer (Unique Reviewer ID – HSR40) on Honorary basis of Human and Social Science Research (HSSR) at ORIC Publications, 1601 North Shackle ford Road #137, Little Rock, Arkansas, 72211, USA. 14. Reviewer of Asian Journal of Humanities and Social Studies (AJHSS). 16. Reviewer of International Journal of Social Science and Management, NEPAL. 17. Reviewer of Mediterranean Journal of Social Science, Via Fonte Bandusia, 18 00026 Rome, ITALY. 18. Member of Review Board of Asian Journal of Humanities and Social Sciences. 19. Member of Editorial Board of Journal of Social Sciences, Adelaide, AUSTRALIA. 22. Member of Editorial Board of Journal of Islamic Architecture, published by International Center for Islamic Architecture from the Sunnah (CIAS), INDONESIA. 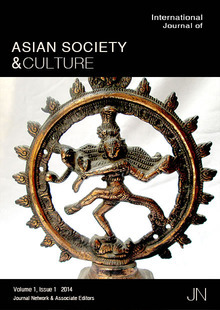 The International Journal of Asian History is a peer-reviewed, open access journal that publishes original research articles, review articles, and essays pertaining to the rich history of Asia and the Indian sub-continent. 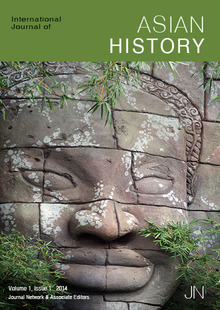 Topics for consideration are broad, ranging from the birth of Asian civilizations, the silk road, Dynastic China, India, and Japan; colonization, war, and modern states.